With the full crew in attendance, episode 285 of The Reality Check delivers some top notch skeptical content. Adam starts things off by looking into the Raelian movement and their clitoral restoration efforts. Next, Pat brings us the second half of his journey into how to plan for your own death. Elan closes out the show by answering a listener voicemail about drinking fluids when you’re sick. Pubmed – The effects of a hot drink on nasal airflow and symptoms of common cold and flu. This entry was posted in The Reality Check Episodes and tagged 2, 285, clitoral, cold, death, drinking, fluids, planning, raelians, restoration, trc. Bookmark the permalink. I enjoyed your show, but I felt that maybe Pat might be unnecessarily worried about becoming a ventilator patient. 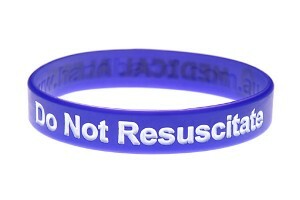 Ventilators aren’t just used for hopeless, end of life patients. They can be used for a pneumonia patient who is being treated with antibiotics, someone who has taken an overdose, or any number of other temporary conditions. My husband is an ICU RN who routinely cares for vent patients here in the U.S. He explains that the main reason intubated patients are sedated is that the tube down the throat is irritating and they naturally want to pull it out. Sedatives also allow them to rest and use less oxygen. Sometimes vent patients are given a paralytic to force muscle relaxation in the chest so that the ventilator will work more effectively. This has to be done with a strong sedative/anesthetic like propofol, so they won’t be aware of being paralyzed. If you are on a paralytic, your nurse will monitor your respiration and heart rate and do pain stimulus tests to make sure your level of sedation stays in the right range. There are also BiSpectral index monitors that can definitively tell if you are awake or knocked out. As for the third segment, I don’t think that the idea is to be more hydrated than normal, but to remind you to maintain your level of hydration while you are sick, especially for the flu. Vomiting, diarrhea and fever can cause you to lose a lot of fluids quickly and dehydration will make you very ill.
One thing I did not get into due to time restrictions was just how complicated it would be to understand all the possible medical procedures and associated variables in order to truly make end of life decisions. I’m definitely not qualified to weigh in on what you have offered up here. In reading a bit further there seems to be a good deal of information around the notion that sedatives/anesthetics should be the focus ahead of neuromuscular blocking agents to avoid the exact situations that have me fearful. I guess we can wonder why the scenario of “paralyzed on a ventilator” was not addressed a bit further on the RadioLab episode, but rather, simply offered as a reality. I will throw out that, from what I have read, the bispectural index and associated monitors are not without criticism. I’m not certain this is as definitive as you suggest but I will say that I’d rather have one than not. Coincidentally they do talk about the this stuff a bit on another RadioLab episode call “black box” if you are interested. Cheers and thanks for writing and listening. I am definitely not an expert, but this is something my husband and I talk about a lot. It bothers him when a family hangs on and won’t let their loved ones go. As a nurse he can’t give advice, but sometimes family members ask him and he will always say what he would do if the tables were turned and his loved one was in that situation. The paralysis thing is scary. I will probably tell my husband that I don’t want paralytics unless the physician thinks it will help me make a full recovery. I’ll also take a listen to the “Black Box” episode. Great segment Pat! I was starting to worry about you. You look so young and healthy in that drawing! surely DNR is a bit over the top! 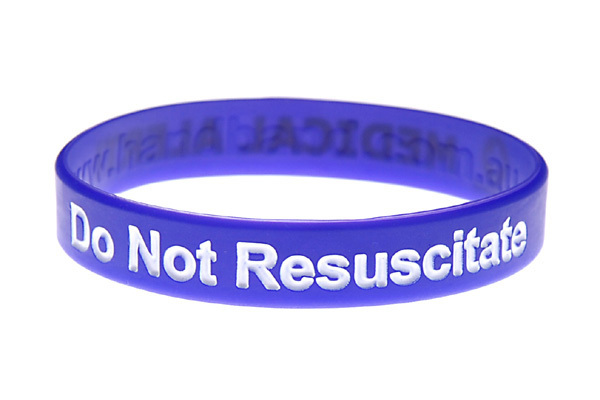 During part 1, I was thinking what my wife’s response would be if I asked for a DNR wristband for xmas and I think it would be similar to Cristina’s. Supportive and a bit dismayed. Anyway, the segment got me thinking and, being slightly older than you, I’m going to look into doing a medical POA and discuss it with my wife. Like you, I don’t want to be on a machine either and she knows that. But there are some things I’d be ok with including a day or 2 of pain or coma so that loved ones could see me off. Being an atheist, I don’t think they’ll get another chance and I figure, WTF, I’ll probably forget about the pain once I’m dead anyway! Thanks for the segment and being so open. Take care. Your comment is much appreciated, Destry. I hope the segment helps in some small way as you look into this for yourself. The ‘not being kept alive until loved ones say goodbye’ seems to have piqued a few people’s interest. I suppose I shouldn’t be surprised. Wow. This was a great episode. I think Pat took darrens make you feel bad award. I nearly cried during this episode. Sorry Justin. Wasn’t intended to make you cry but it certainly got a lot heavier than I imagined when I first came up with the topic!